If you cannot find me in our home, chances are I will be right here at my dining room table. It’s my happy place. It’s one of the first rooms in our home I decorate for Christmas each year. Oh, and I will be located on the right hand side of the settee next to the Christmas tree. A gathering spot like no other, the dining room is the theater of memories. Here, our family gathers and we talk, laugh and share our lives together while enjoying a meal as one. We cherish these moments, free from the distractions of our phones, tablets and televisions. 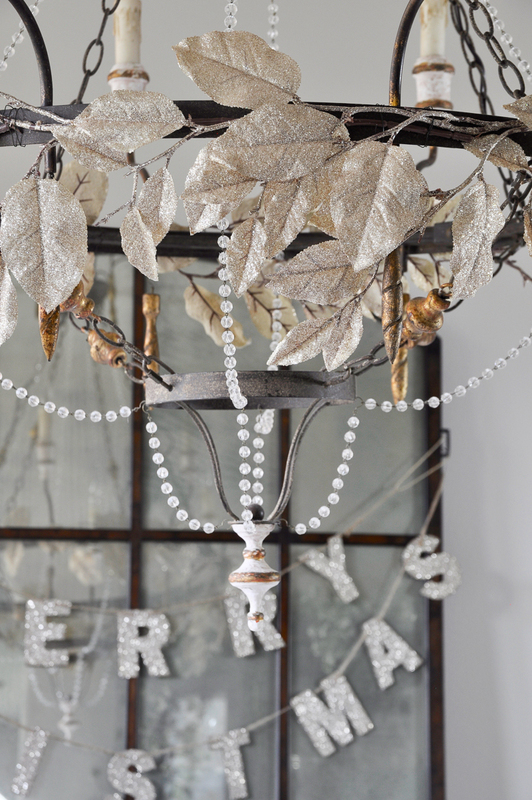 I always make an extra effort decorating this room for the holidays. This time of year, I want the dining room table to look perfect. After all, it is the anchor and foundation for this room. 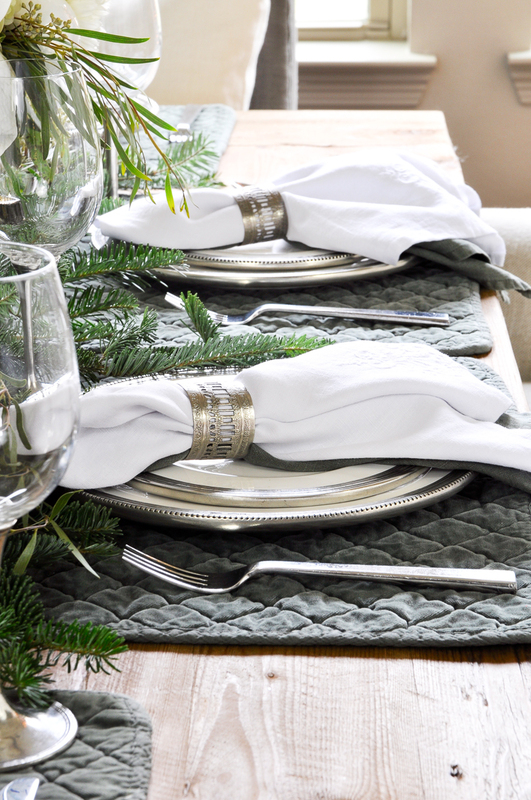 The table linens call for a luxurious softness that can only be delivered by Pom Pom at Home. 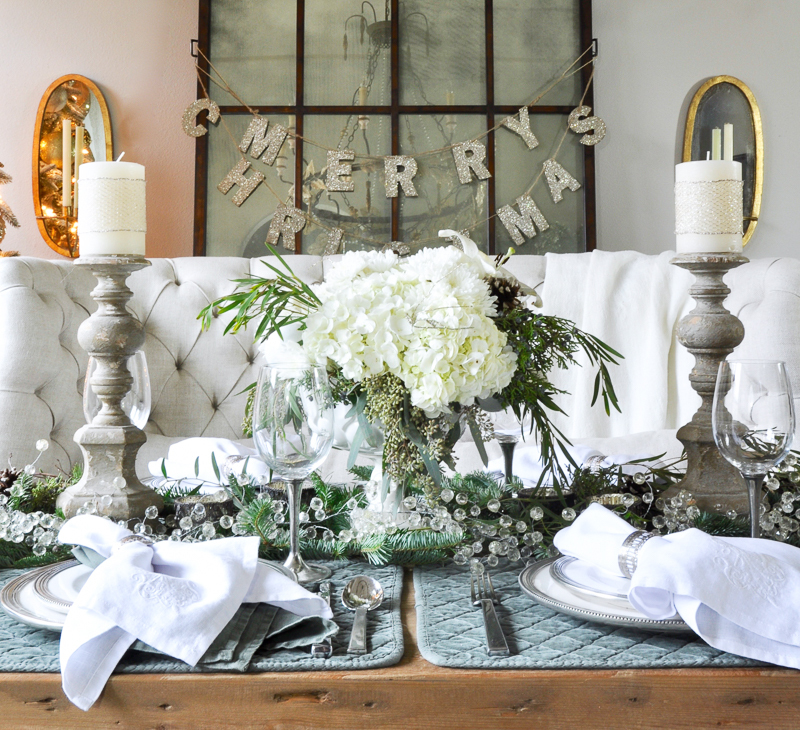 My dear friend, Randi from Randi Garrett Design and I have teamed up to bring you two dining room tables decorated for Christmas. 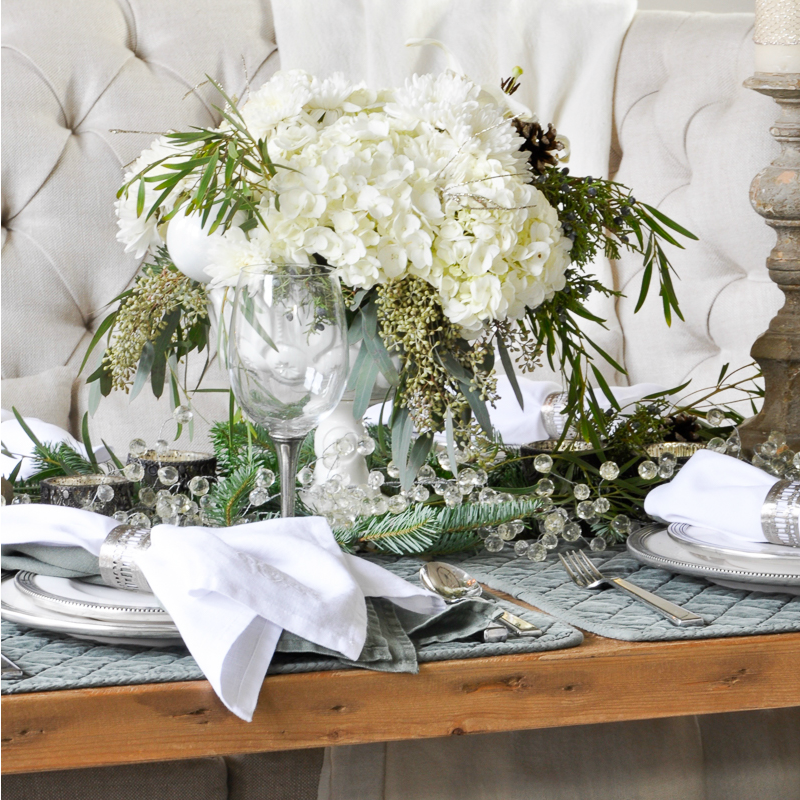 You should always start with beautiful table linens. 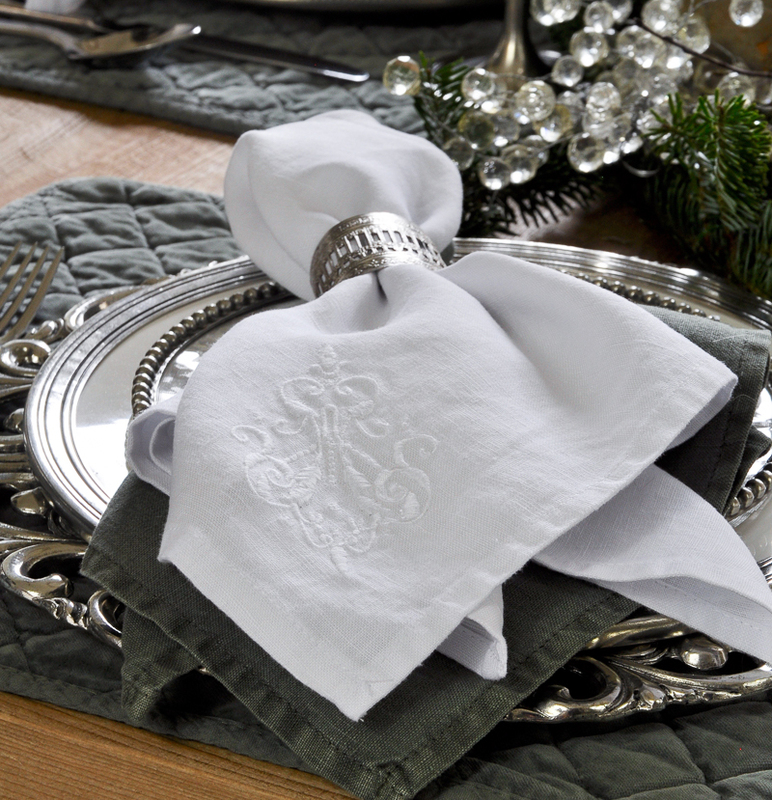 I selected a crisp white linen napkin which works well year round. But, they are especially wonderful during the holiday season. I layered the white napkin with a matching hunter green napkin. 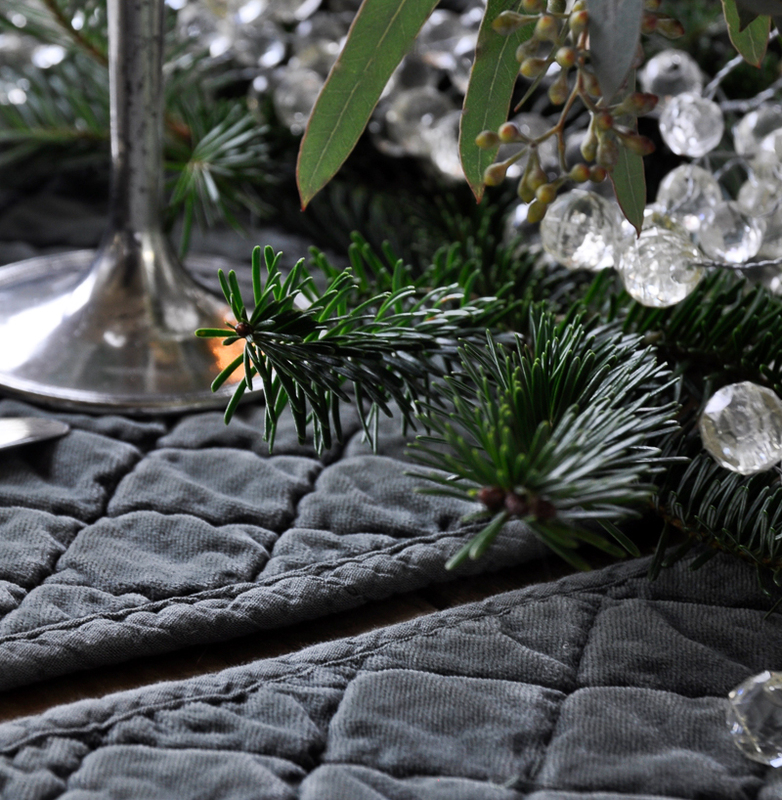 The beautiful cotton velvet placemat is also in hunter green. From here, I always add greenery. I must say, this time of year, the greenery is so amazing. 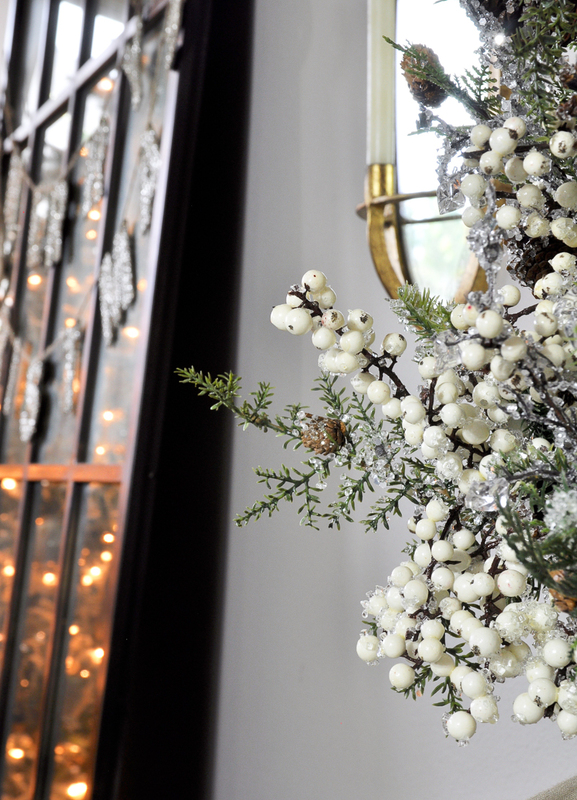 The scents of pine fill the air and add to the festive nature of not only this room, but the entire home. For flowers, I often try to keep it elegant and simple by sticking to a white palate. One of the most important accents for this room is a subtle one, and that is candlelight. Whether you are dining out at your favorite restaurant or enjoying a meal at home, lit candles complete the ambience most of us enjoy. They offer an elegance which is not matched via any other means. Here, I used both votives and candlesticks. 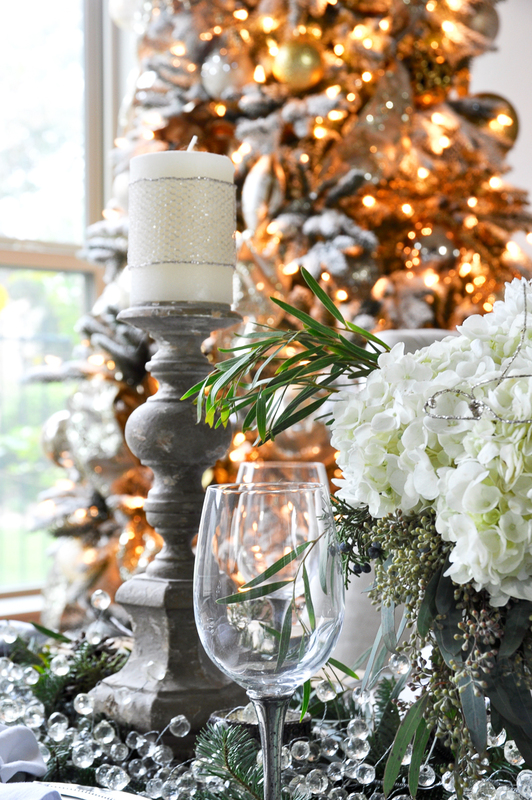 A festive Christmas table calls for special dinnerware and glassware. You can see mine in another holiday setting here. 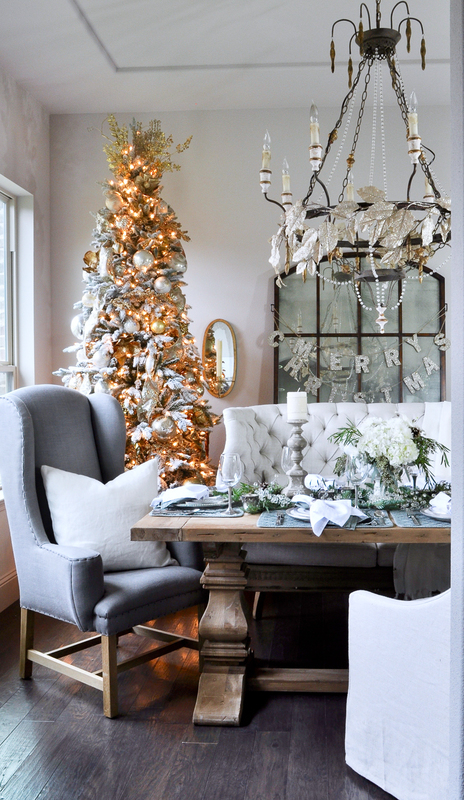 The pewter and white dinner plates work quite well with the Christmas dining room theme. 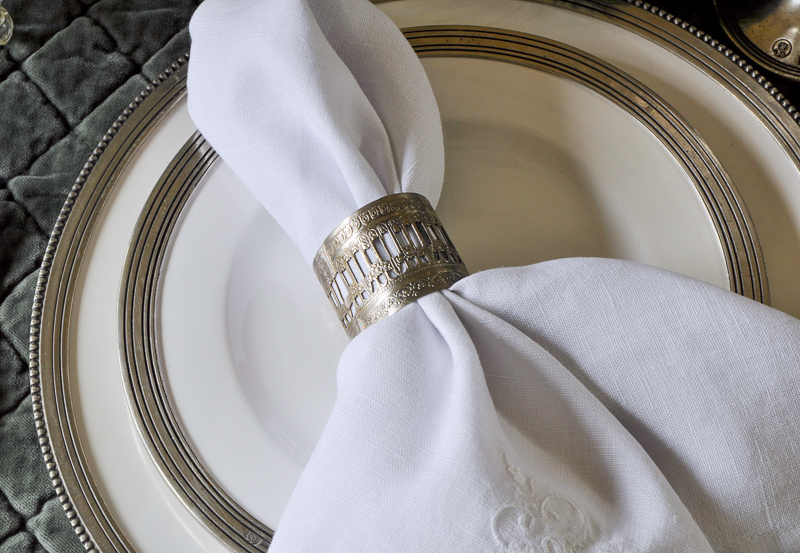 The intricate napkin rings tie the look together. My glassware is so versatile, it works in every dining theme. But, I must say that I think it looks its best during the holidays. This year, I decided to take the Christmas tree from my family room last year and use it right here. But, I made one small change: I flocked it myself. I believe it turned out quite beautifully. 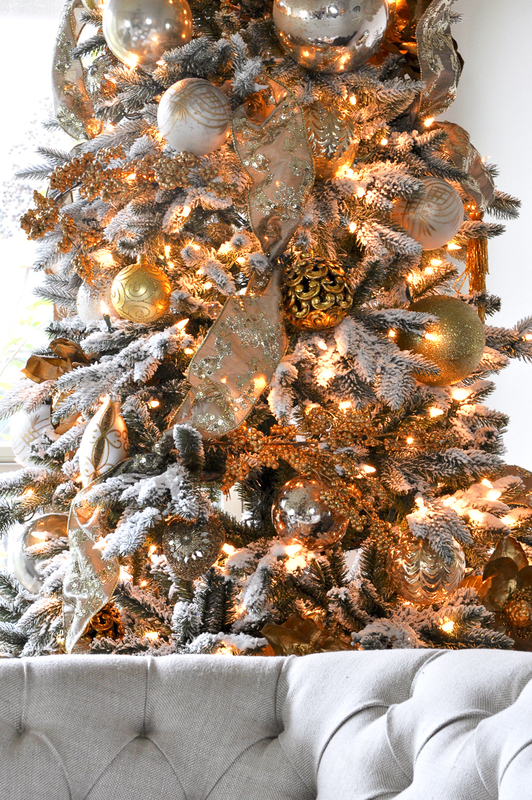 The silver, white and gold theme on this tree pulls from nearly every decorative aspect of the dining table. 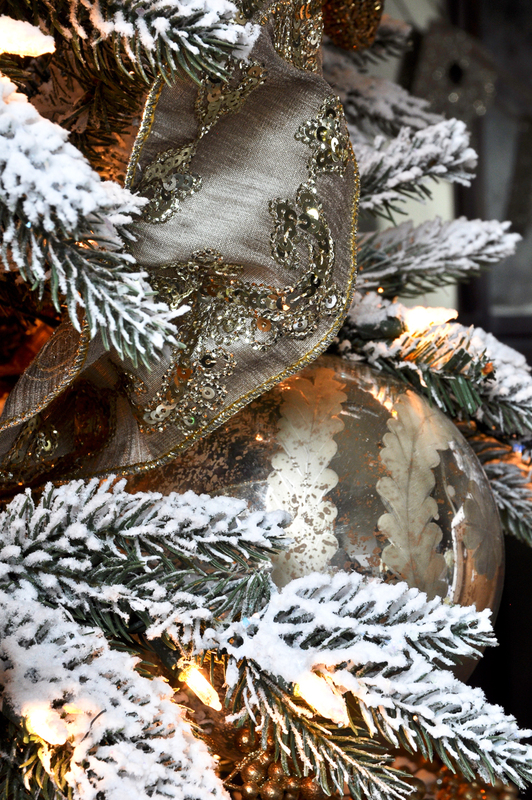 The room remains balanced, festive, warm and inviting. 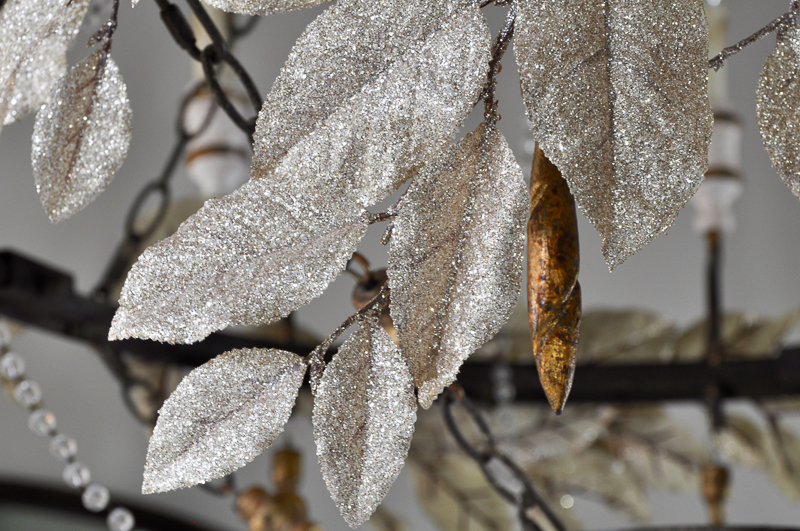 I added gold leaves to the chandelier so it would be a touch softer. 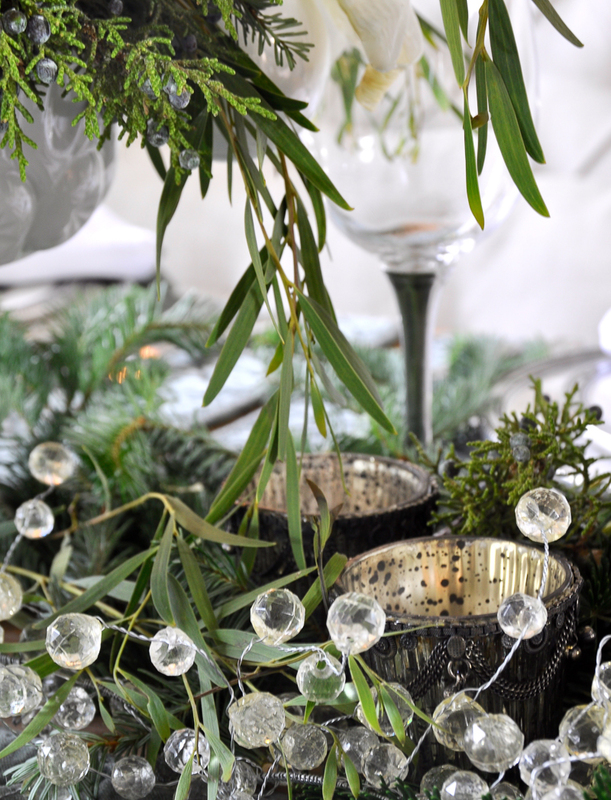 A little tree adorns the table in the corner of the room along the mirror wall. So, as I settle into the corner of the settee, I think of all of the memories we will make this year while enjoying Christmas dinner together as a family. Not only is it my happy place, but it is our family’s happy place. 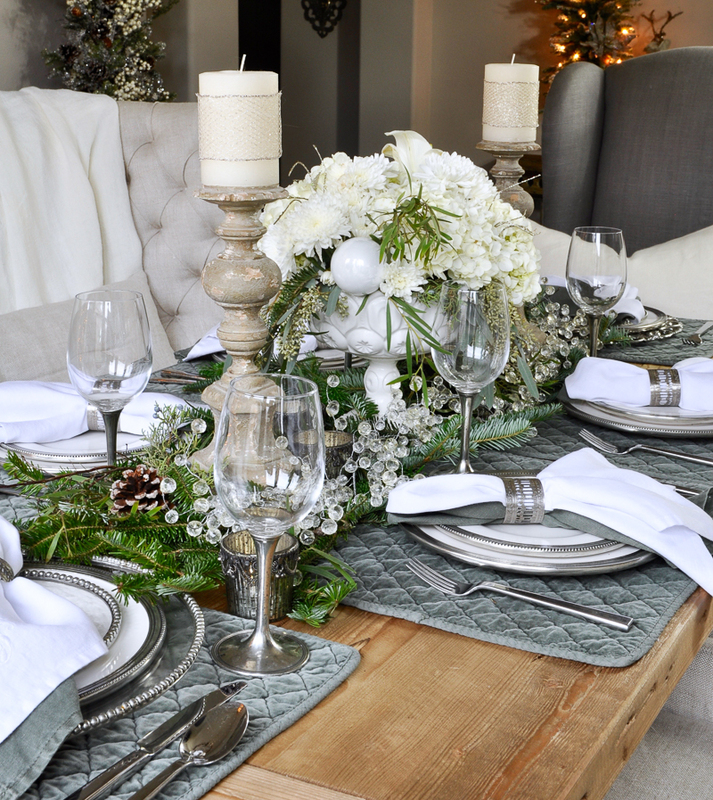 I hope you and your family make amazing memories together this holiday season around your own Christmas dining table. You can tour several other rooms in my Holiday Home Showcase. Thank you for visiting and sharing some of your time with me here at Decor Gold Designs. Now, for further inspiration, please visit Randi Garrett Design. 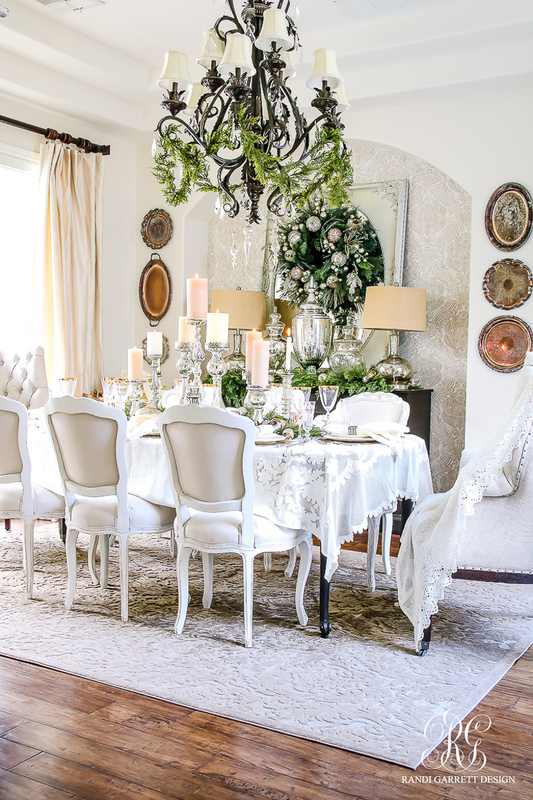 Randi’s holiday tables are nothing short of spectacular. Oh my gosh, these pictures are fantastic! It feels like I can reach out and touch the table. Your table is exquisite and I’m so happy to have found you via BNOTP. Merry Christmas! Thank you Sandra! That is a huge compliment as I’m still learning to use my camera! Thanks again and Merry Christmas to you! Thank you so much Bree! I hope you make wonderful memories with your family this year! I am truly loving this dining room. This Christmas means so much to me as my daughter is a senior this year and I’m holding on to all memories big and small. Your words really hit home about taking the time to really enjoy each other. I love the idea of the fresh greens and flowers. You have inspired me to try some very simple flower arranging next year. Have a wonderful holiday. Thank you so much Jenn! I hope you have the most wonderful Christmas! Enjoy every second with your daughter….the senior year goes by quickly! OMG OMG OMG….BEAUTY-FULL IS NOT A BIG ENOUGH WORD AND YES I WOULD BE IN THE DINING ROOM ALSO…THANK YOU SO MUCH FOR SHARING!!!!!!!!!!!!!!!!!!!!!!!!!!!!!!! Your dining room is truly amazing. 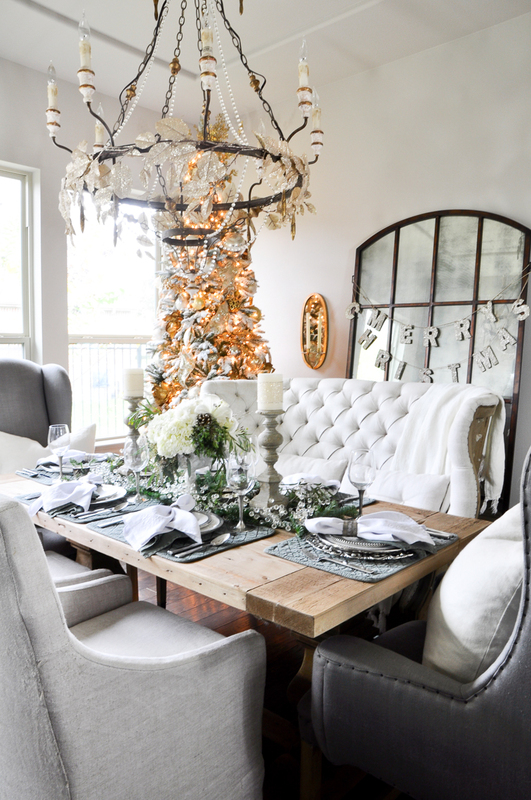 Love all the details and those linens! Thanks for hosting the tour and inspiring all of us!